Coach Rob wraps up his series on Training Camps this week with his lessons learned on the Endurance Quickcast. Coach Rob covers his experiences as a camp organizer and as a camp participant today. Learn about the ins and outs of booking lodging, and making sure everyone get along on this final edition of this weeks series on Training Camps. 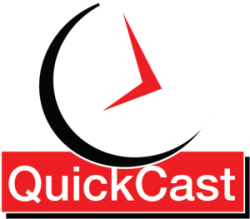 Coach Rob has another mobile edition this weeks series on Training Camps on the Endurance Quickcast. Today Coach Rob is going to talk quite a bit more about in ride nutrition for training camps. Coach Rob also discusses what to expect in a Return On Investment, ROI, from your training camp investment! Hope you enjoy it! On this mobile edition of the Endurance Quickcast Coach Rob talks about the various types of training camps. How to select the right on for you as well as having your own private camp. Have a listen and tell your friends all about us! his week on the Endurance Quick Cast, Coach Rob gives out several tips and more on how to become a better pack rider. Coach Rob has witnessed quite a bit in group rides in the last several years and he has pointers on how to get the most out of your group riding experiences.